Laser Mouse or Optical Mouse? Wireless Mouse or Wired Mouse? How much DPI does my Mouse need? What is Mouse Correction aka Angle Snapping? What’s the Polling Rate of a Mouse? SteelSeries Rival 700 Review: The ultimate Gaming Mouse? 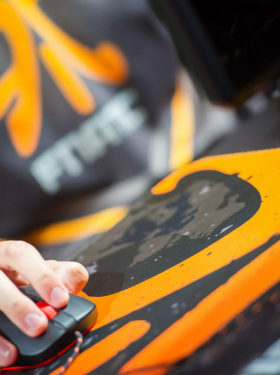 When looking at the gaming mice of successful international eSports teams like Fnatic or Ninjas in Pyjamas you will spot equipment from SteelSeries. 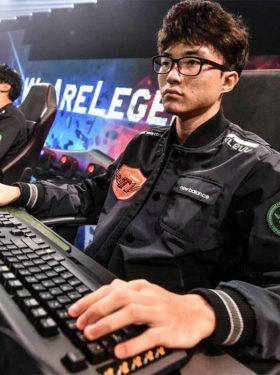 Of course they “have to” use their wholesale mlb jerseys equipment as they are their team sponsors – but apparently stuff from SteelSeries allows you to become champions in multiple games like CS:GO or League of Legends. 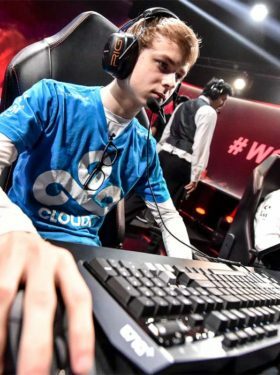 It has to be good or else SteelSeries would not be used so frequently among top players. Out of SteelSeries’ product lineup you will find the SteelSeries Rival and the SteelSeries Sensei the most. As I use the latter one since a year, I want to write down my experiences in this SteelSeries Sensei review! One sick gaming mouse: SteelSeries’ Sensei! Check out the SteelSeries Sensei on Amazon! SteelSeries is based in Copenhagen, Denmark – but sells its gaming equipment world-wide. Founded in 2001 they are able to supply professional gamers with high-quality keyboards, headsets, gaming mice and so on. All of their products are developed in close cooperation with actual eSports professionals so you will not find PC gear for your office, only for gaming! By sponsoring multiple eSports teams throughout the globe they work together with the global gaming community to supply them with gear. Although SteelSeries’ products might not look extremely flashy or include glowing lights everywhere, you will get serious peripherals that cheap nfl jerseys are made to perform with. When ordering the SteelSeries Sensei you will get a simple box in black and orange that could house any regular mouse. Once you spot the logos of eSports teams like Fnatic and SK Gaming you will start to realize that this is one serious gaming mouse! What makes the Sensei different from Gaming other gaming mice on the market is the fact that it is the most customizable mouse out there. With the included SteelSeries software you will be able to customize nearly every feature of the Sensei: dpi, lift-off distance, button functions, macros, lcd brightness/contrast, mouse acceleration and deceleration. Especially if you put a high focus on your mouse sensitivity and acceleration, these settings really stand out in our SteelSeries Sensei review. With the LCD screen on the bottom of ce the Sensei (yes, there is a small monitor under the mouse – what the…?) you can also select different settings and chose the one you might need in any given situation. To sum up the most important key features in our SteelSeries Sensei review: the mouse has eight programmable buttons with switches that are made for more than 10 million clicks, so the Sensei should last a while. The sensor offers 5.700CPI at a response rate of just 1 millisecond and a polling rate of Sports 1.000 Hertz. SteelSeries’ Sensei is also available in white and multiple eSports team colors! The SteelSeries Sensei is an ambidextrous mouse, so wholesale nfl jerseys it can be used by right-handed and left-handed gamers alike. 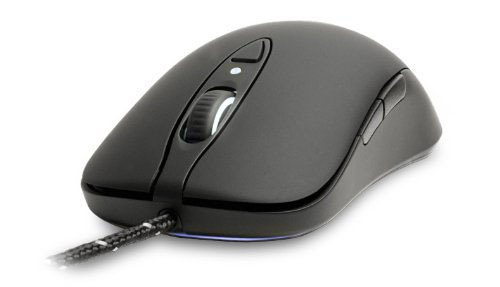 It is relatively small compared to other Gaming gaming mice, so it is not wholesale nba jerseys the best mouse out there for gamers with large hands. All buttons are placed perfectly and especially the thumb buttons are great to use. With its teflon glides Two it glides perfectly on most gaming mousepads – no matter which mouse sensitivity you use. Best Gaming Mouse 2017: The ultimate Guide!